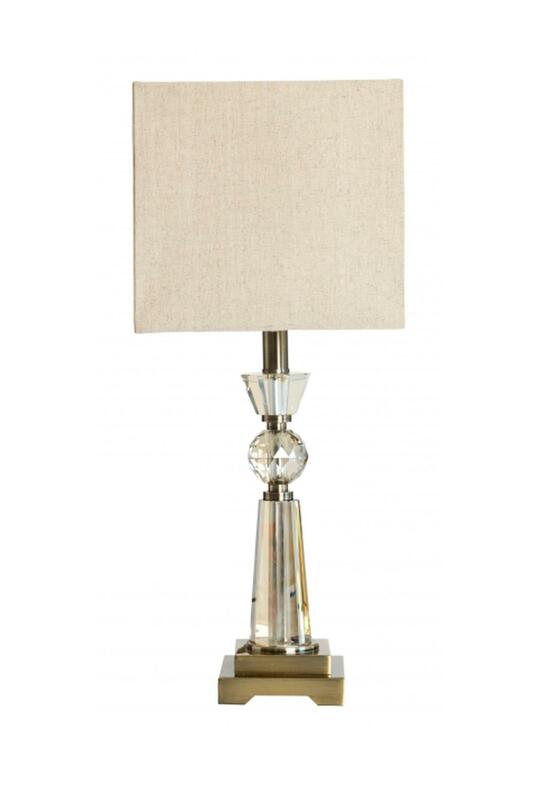 This crystal table lamp from the Mindy Brownes collection has meticulous craftsmanship and stunning looks. This crystal stem lamp has a gold base and cream shade. Approximate Measurements: Height 23\" & Shade 10\"x10\"x9\"